Composite, or tooth-colored, fillings are the most popular choice for fillings today. The most notable feature is the look of composite fillings. We want our smiles to be the brightest they can be and composite fillings help us achieve that. As opposed to amalgam (metal mixture) fillings, composite fillings blend in naturally with the original tooth, leaving a filling that is virtually undetectable to the naked eye. These fillings can be used to repair a worn, chipped, or broken tooth. Composite fillings have come a long way over the years. Continuous scientific and artistic developments have made them far and away better than they were even ten years ago. With amalgam fillings, the goal and end result was a filling with unrelenting strength. This, however, has proven not to be such a great feature after all. The super tough amalgam fillings can actually lead to cracking or further decay. 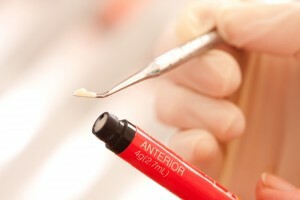 Composite fillings are more focused on being natural. They are made to act exactly like the teeth you already have. This means they’re not as strong as their amalgam counterparts but they behave much more like real teeth which has been shown to have better results in the long run. The composite resin that’s used forms a chemical bond with your tooth. While amalgam fillings merely rest against the tooth, composite fillings are crafted in such a way that the enamel on the tooth and the resin that makes up the filling can form a bond. It is just about impossible to see where a composite filling begins and ends. Remember, the best kind of filling is the one you don’t need. Composite fillings are a great choice, but even better is to work hard at preventing the need for them. Your chance of needing a filling will plummet when you focus hard on brushing twice a day, avoiding sugary food and drinks, flossing, and keeping up with your dentist. If you have any questions about composite fillings or would like to make an appointment, please give us a call at (407) 905-9888.